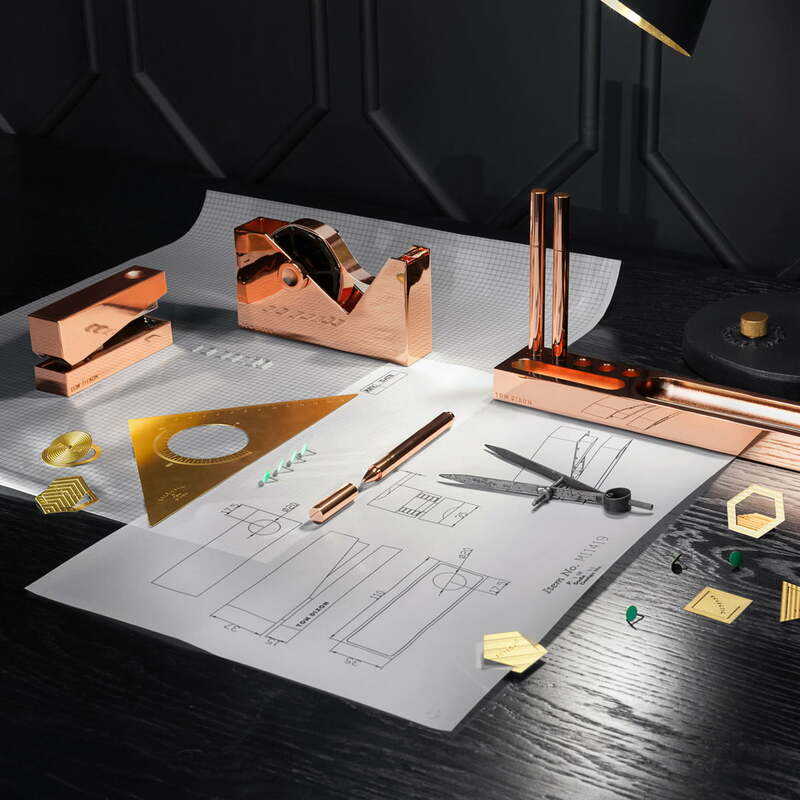 The Cube Tape Dispenser by Tom Dixon is part of the eponymous collection of minimalist and functional office accessories with a copper finish. The tape dispenser's shape is minimality resulting in a timeless object. 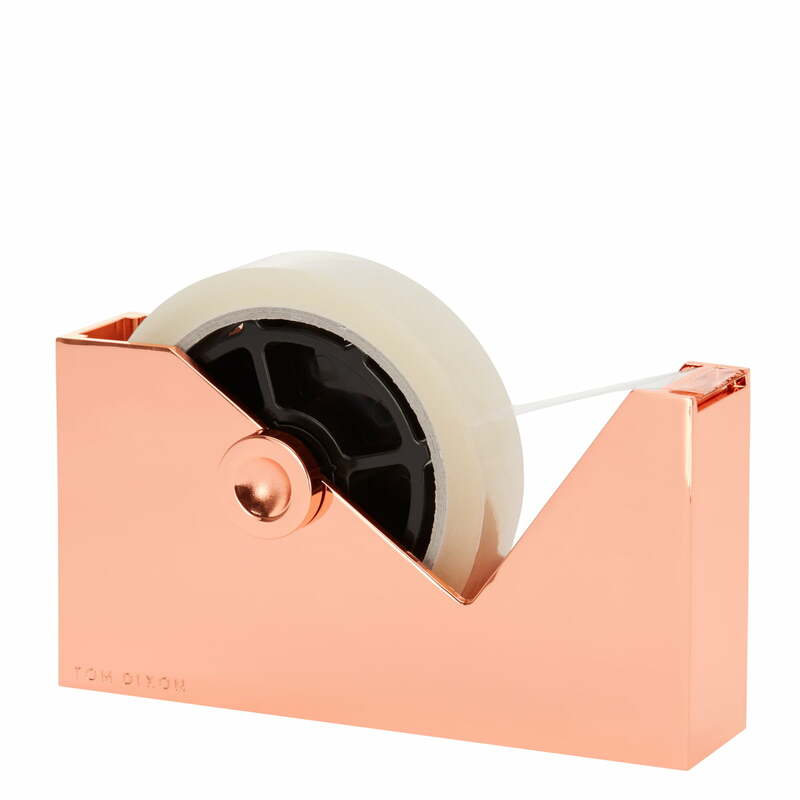 This way, the tape dispenser is not only an eye-catcher, but also practical in use. The dispenser is suitable for all standard tape rolls and the sharp jagged edge allows tape to be divided into strips. 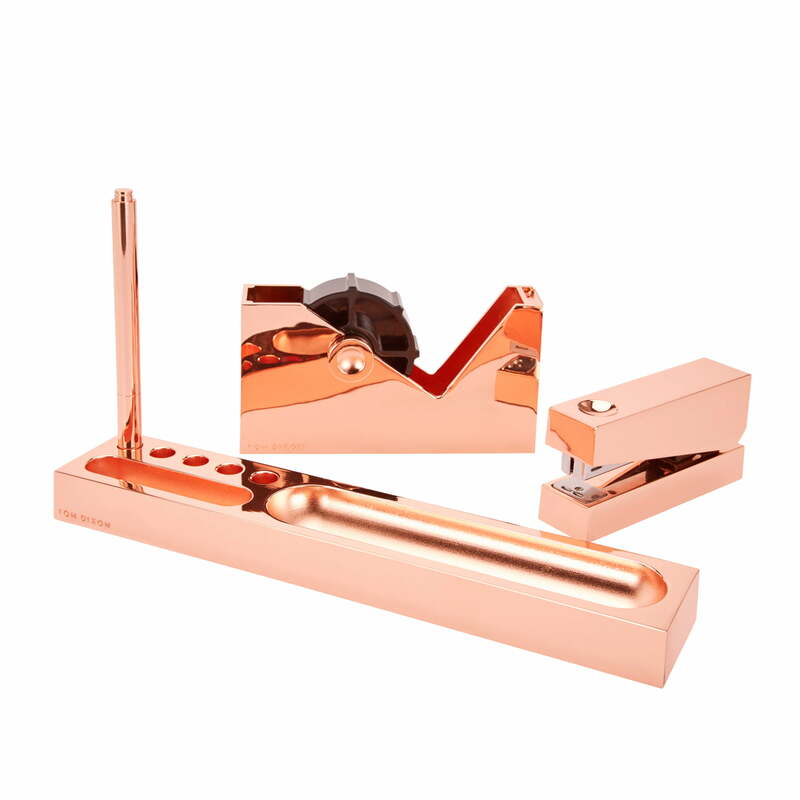 The Cube Tape Dispenser by Tom Dixon is made from a copper zinc alloy. The dispenser comes in a gift box, making it the perfect gift for any occasion. The Cube Series also includes a ballpoint pen, a pen tray and a stapler. 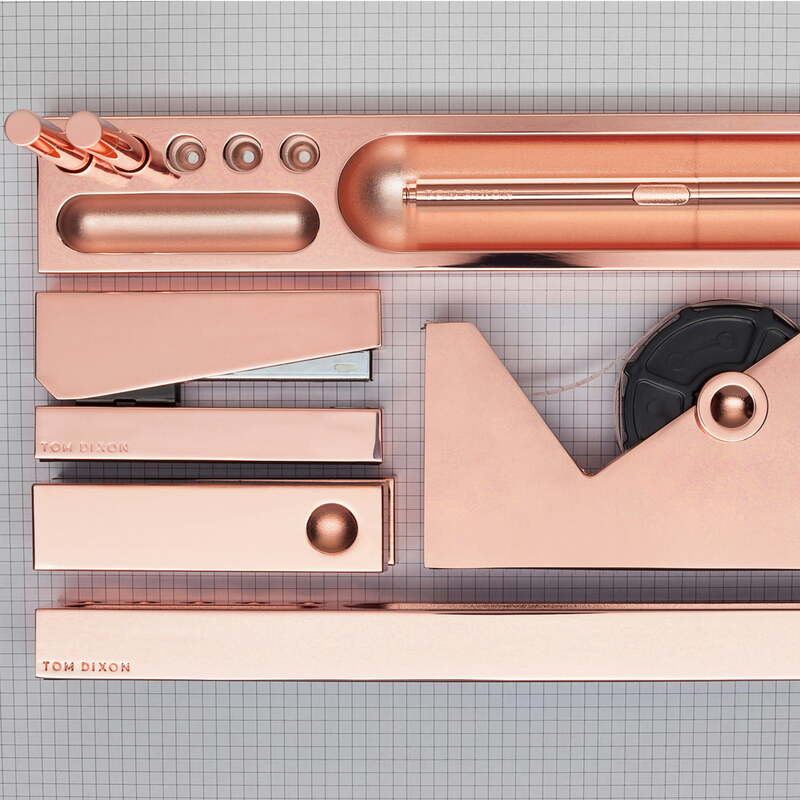 Single image of the Cube Tape Dispenser by Tom Dixon. 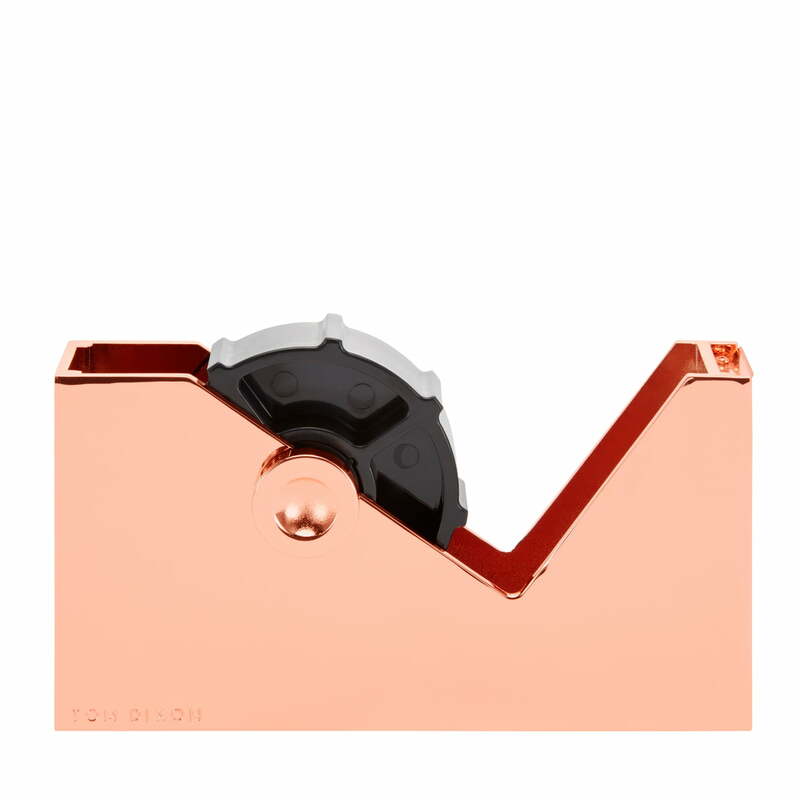 The dispenser is suitable for all standard tape rolls and the jagged edge allows tape to be divided into strips.